CYB3RCRIM3: The Cell Phone, the “Strip Frisk” and "Promoting Prison Contraband"
The Cell Phone, the “Strip Frisk” and "Promoting Prison Contraband"
After a jury convicted Barry Green of “the crime of promoting prison contraband in the first degree”, he appealed. People v. Green, 2014 WL 1809616 (New York Supreme Court – Appellate Division 2014). Green “was sentenced as a second felony offender to a prison term of 3 to 6 years, to be served consecutively to the sentence he then was serving.” People v. Green, supra. On September 9, 2009, a correction officer at Woodbourne Correctional Facility in Sullivan County, where [Green] then was incarcerated, was making his daily rounds when he observed a green towel covering the window of [Green’s] cell. As the correction officer paused to investigate, he overheard [Green] -- the sole occupant of the cell -- engaging in what he characterized as a one-sided, business-like conversation. After verifying that the surrounding cells were empty, the correction officer notified a sergeant who, in turn, ordered [Green] be removed from his cell and that a search thereof be conducted. While [his] cell was being searched, the correction officer and the sergeant escorted [Green] to the facility's recreation room and told him to sit down on a chair. [Green] indicated he preferred to stand and, when the sergeant insisted that he sit, [he] complied by sitting on the edge of the chair in what was described as a `loung[ing] position.’ After being advised that the search of [his] cell uncovered a cell phone charger on his bed, together with a password and a collection of phone numbers stuffed in the toe of a shoe, the sergeant ordered a strip frisk of [Green]. As [Green] was being escorted from the recreation room for the strip frisk, the sergeant observed that [he] walked with `an unusual gait.’ When [Green] thereafter was asked to remove his underwear, he initially hesitated but ultimately pulled out a cell phone that had been hidden in his buttocks. According to an investigator with the Office of Inspector General for the Department of Corrections and Community Supervision (hereinafter DOCCS), [Green] subsequently admitted that he purchased the cell phone for $500 in order to speak with his wife -- with whom he purportedly was experiencing marital problems. People v. Green, supra. In a footnote, the court explains that the “The password discovered in defendant's cell unlocked this phone.” People v. Green, supra. there is legally insufficient evidence to support his conviction of promoting prison contraband in the first degree -- specifically, that the People failed to establish that the cell phone in question constituted dangerous contraband. Insofar as is relevant here, `[a] person is guilty of promoting prison contraband in the first degree when . . . [b]eing a person confined in a detention facility, he [or she] knowingly and unlawfully . . . obtains or possesses any dangerous contraband’ (New York Penal Law § 205.25). `Dangerous contraband’ . . .is defined as `contraband which is capable of such use as may endanger the safety or security of a detention facility or any person therein’ (New York Penal Law § 205.00). There is no dispute that [Green] was confined to a detention facility in September 2009, and he conceded both that he possessed a cell phone on the day in question and that no one -- inmates, visitors, lawyers or even facility personnel -- is allowed to bring a cell phone into a correctional facility. As various correction officials confirmed that cell phones were not permitted within the facility and, more to the point, that [Green] was not authorized to possess such a device, there is no question that [he] possessed `contraband’ within the meaning of [New York] Penal Law § 205.00(3). Hence, the narrow question presented for our consideration is whether there is legally sufficient evidence to support the jury's finding that defendant possessed dangerous contraband within the meaning of [New York] Penal Law §§ 205.00(4) and 205.25(2). People v. Green, supra (emphasis in the original). In a footnote, the court explains that, under New York Penal Law § 205.00(3), contraband is “defined as ‘any article or thing which a person confined in a detention facility is prohibited from obtaining or possessing by statute, rule, regulation or order’”. People v. Green, supra. Notably, `the distinction between contraband and dangerous contraband’ does not turn upon `whether an item is legal or illegal outside of prison . . . [as][i]t is obvious that an item, such as a razor, may be perfectly legal outside prison and yet constitute dangerous contraband when introduced into that unpredictable environment’ (People v. Finley, supra). Similarly, as our case law makes clear, the item in question need not be inherently dangerous in order to qualify as dangerous contraband. Indeed, although weapons are perhaps the most commonly recognized source of dangerous contraband in a prison setting, . . . courts have -- applying the Finley test -- reached the very same conclusion with respect to other items made, obtained or possessed by prison inmates, including illegal quantities of drugs, . . . a disposable Bic lighter . . . and hand-drawn maps or knotted links of wire that could be used to facilitate an escape. . . . Although the majority in Finley did not expressly address this issue, Judge Pigott opined in his concurrence/dissent that, `[i]f the contraband at issue is not inherently dangerous . . ., the People must present specific, competent proof from which the trier of fact may infer that use of the contraband could potentially create a dangerous situation inside the facility’. (People v. Finley, supra [Pigott, J., concurring in part and dissenting in part]). As a cell phone admittedly is not an inherently dangerous item, the question is whether the People adduced sufficient proof to establish the cell phone's potential to be used in such a pernicious manner as to elevate it to the level of dangerous contraband. People v. Green, supra (emphasis in the original). Specifically, the superintendent testified that each inmate is allowed to list up to 15 individuals to whom he or she may make phone calls during certain designated hours; additional restrictions are imposed with respect to who may be included on each inmate's phone list, and inmates are not permitted to place calls to wireless customers. [a]s to the specific threats posed by the introduction of a cell phone into a prison environment, the superintendent testified that an inmate in possession of a cell phone has the ability `to bypass some of the protections that are in place to carry out [DOCCS'] mission of public safety’ -- most notably, the procedures governing the recording and monitoring of inmate phone calls -- thereby posing `a significant security risk” to the facility. The potential for such endeavors, in turn, presents `a significant risk, . . . either to the public or to the [particular] institution,’ and it is for this reason that a cell phone -- an item that, the superintendent testified, is `deemed in demand’ by inmates -- is viewed as `a significant item of contraband’ within a prison setting. People v. Green, supra. In a footnote, the court also notes that “he investigator who interviewed [Green] after the discovery of the cell phone testified that defendant admitted that he purchased the cell phone because “he didn't want the facility to monitor his calls.” People v. Green, supra. [b]ased upon our review of the record as whole -- particularly the detailed and specific testimony offered by the supervising superintendent -- we are satisfied that the People met their burden of establishing that the cell phone seized from defendant constituted dangerous contraband under the test set forth in Finley. Indeed, this matter is analogous to the Fourth Department's decision in People v. Wilson, 56 AD3d 1266 [Supreme Court – Appellate Davison 2008], wherein the dangerous contraband consisted of a drawing of the recreation yard and a portion of the jail in question. Applying the Finley analysis, the Fourth Department concluded that `[i]tems that facilitate an escape are properly considered dangerous contraband because they endanger the safety or security of a facility’. People v. Wilson, supra. That same conclusion is compelled by the proof adduced here. To be sure, neither the piece of paper at issue in Wilson nor the cell phone at issue here is inherently -- or even obviously -- dangerous in and of itself, but Finley imposes no such requirement. Rather, all that is required under Finley is that an item's `particular characteristics are such that there is a substantial probability that the item will be used in a manner that is likely to cause death or other serious injury, to facilitate an escape, or to bring about other major threats to a detention facility's institutional safety or security’. People v. Finley, supra. 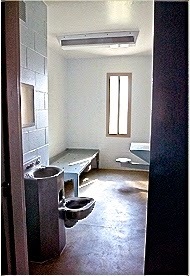 As the record before us contains specific, competent proof from which the jury reasonably could draw such inferences and conclude that defendant's use of a cell phone would likely create a dangerous situation inside the correctional facility where he was incarcerated, we discern no basis upon which to disturb the conviction. In a footnote, the court pointed out that “some states have elected -- either by statute or regulation -- to expressly classify cell phones as dangerous contraband (see e.g. Texas Penal Code Ann § 38.11[a]; 15 Cal Admin Code § 3006[a]”. People v. Green, supra. And a federal regulation – 28 Code of Federal Regulations § 541.3 – makes possessing “a `portable telephone, page, or other electronic device’ as a prohibited act of the `greatest severity’”. People v. Green, supra. 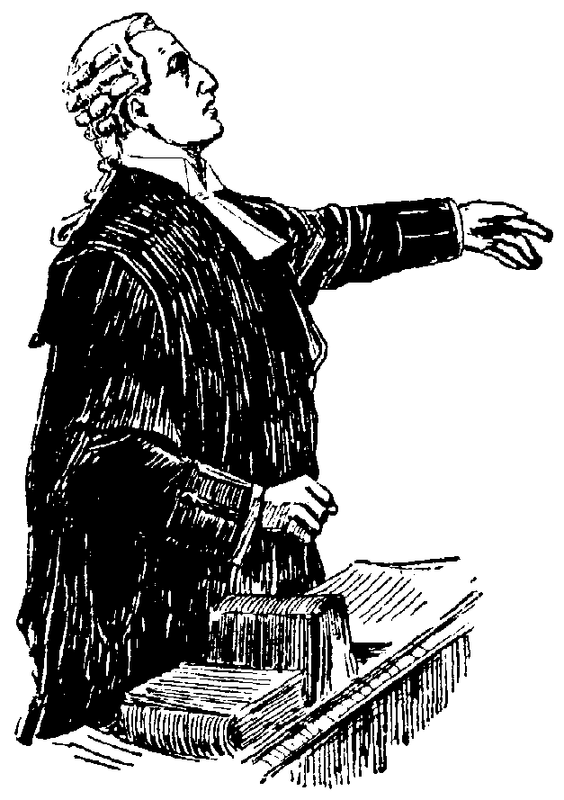 The court therefore affirmed Green’s conviction and sentence. People v. Green, supra. The news story you can find here provides a little more information about Green and the case.